A lot of the time it begins with the airports: dizzying parking garages, overpriced food and a series of long lines have a way of making even the most serene travelers a little bit agitated. And that's even before the airplane leaves the ground. So it's easy to see how poor service from an airline can put the finishing touches on a ruined day -- long check-in lines, flight delays, lost luggage, baggage fees and general rudeness have a way of doing that. Not to mention the scary food (at least it used to be free scary food). Based on the Airline Quality Rating (AQR) Report, which covers 18 domestic carriers, here is a list of the airlines that could stand to do the most work on making their customers happy. The report's conclusions are based on surveys of airline industry experts, with positive and negative values assigned to different elements in airline quality. Several common complaint areas were factored in -- including on-time arrival, mishandled baggage, delays and involuntary denied boardings -- the scores of which were then calculated to produce an overall quality score. We also took a look at a number of other sources, including the American Customer Satisfaction Index and the Air Travel Consumer Reports by the U.S. Department of Transportation. Regional airlines are ranked separately because of their tendency to score lower. 2009 AQR Score: -1.19 While US Airways improved five percent in passenger satisfaction according to the American Customer Satisfaction Index, they were one of three airlines cited as having the rudest flight attendants and serving the worst food, in a survey conducted by SeatGuru last year. Additionally, US Airways received a below-average score in the J.D. Power 2010 North America Airline Satisfaction Study. American Airlines has an Airline Quality Rating (AQR) of -1.25 -- which isn't awful, but where its reputation takes the hardest hit is with its regional airline, American Eagle (more on it later). This year AA has had frequent incidents of mishandled baggage with an average of 4.07 reports per 1,000 passengers, according to the Air Travel Consumer Reports (this is the worst rating among the major airlines in the study). SeatGuru's survey named American Airlines as one of the three airlines that have the rudest flight attendants and the worst food. Alaska Airlines has an Airline Quality Rating (AQR) of -1.39, which can be partially attributed to the airline's high number of mishandled baggage reports. 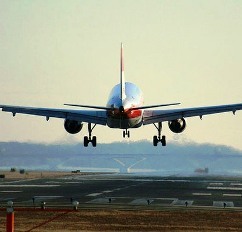 According to Air Travel Consumer Reports, the airline averaged 3.98 incidents per 1,000 passengers last year. However, Alaska Airlines did a stellar job when it came to delays, with 88 percent of its flights having on-time arrivals (in the 12-month period ending August 2010). Now that the merger with Continental Airlines is official, United can turn its attention to improving customer service. United received a score of "about average" in the J.D. Power 2010 North America Airline Satisfaction Study but it placed last in passenger satisfaction in the American Customer Satisfaction Index. According to the SeatGuru survey, United joins American Airlines and US Airways as one of the three worst airlines for meals and rude flight attendants. In addition, the Air Travel Consumer Reports places this airline second in consumer complaints (behind Delta), averaging 1.82 per 100,000 enplanements in 2010. Delta had the worst AQR among major airlines with a -1.73, and a couple of its regional airlines did even worse (see Comair and Atlantic Southeast below). It also had the largest drop in passenger satisfaction in the American Customer Satisfaction Index. According to the Air Travel Consumer Reports, Delta was number one in delays for major airlines (78 percent of flights arriving on time in the 12-month period ending August 2010) and first in consumer complaints (averaging 2.23 per 100,000 enplanements in 2010). Also, make sure to note Delta's baggage fees below, as they can get quite painful for those hauling heavy and/or large cargo. At first, I thought those airline companies are great... I'm a little bit disappoint.